We’re not saying the Chevrolet Corvette has an image problem, but there does seem to be a certain type of customer that flocks to the great American sports car. In this case, the mid-engine C8 Corvette will ensure customer X isn’t disappointed because it will have room for a couple of golf bags. That’s the word from The Detroit News, which explored the mid-engine C8 Corvette in greater detail and rounded up some of the latest news surrounding the new sports car. At the bottom of the story, we learn the car will, indeed, have room for two golf bags. Not in the rear like so many Corvette owners are used to, but in a new “frunk.” That’s a trunk in the front, for mid-engine cars. However, rumored hybrid models may sacrifice the love of tee time if the mid-engine Corvette does eventually include electric motors. Those would likely be mounted in the front of the car and take up storage space. However, it’s also rumored such a powertrain setup will grace the Corvette with all-wheel drive for the first time and potentially crank out up to 1,000 horsepower—from the factory. We also most recently heard the mid-engine Corvette is so powerful that it keeps twisting structural components at the rear. The latest rumors peg the C8 Corvette to debut in August at the National Corvette Museum, though we previously heard a summer timeframe in general, maybe as soon as May. August would give Chevrolet enough time for promotion before job one is complete this December, which is the rumored production start for the car. Launching the mid-engine Corvette in winter seems like an odd move, though. Analysts and rumors are all over the map when it comes to pricing. 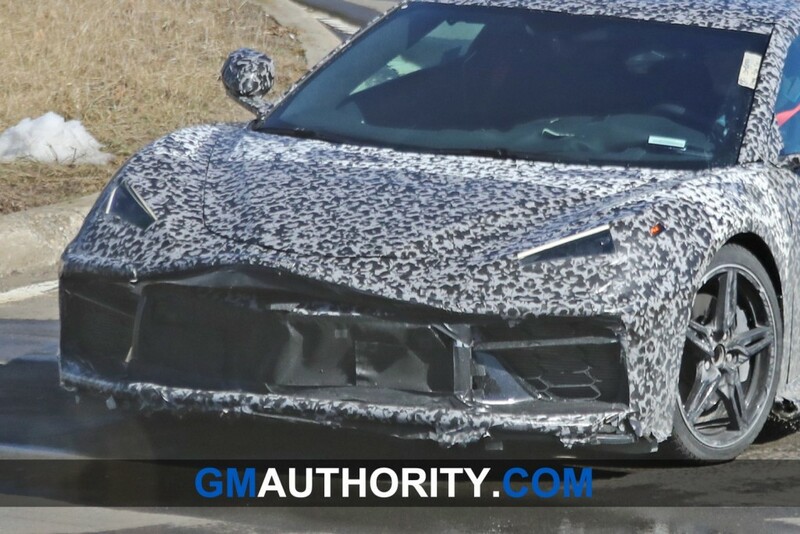 We’ve heard rumors of prices starting as high as $170,000 (which we take with a hefty grain of salt) and some with marginal price increases of a few thousand dollars over the C7 Corvette. Price strategies will most likely fall to the latter scenario with a base cost of around $60,000, we’d wager. Note even the Fiero was designed for a golf bag. You may be limited on size but it will hold a set of clubs. Fiero is close to Fierro. What does fierro mean in Spanish? Iron. Fiero was designed to hold a bag of irons. Two small bags as you nearly always have a golf partner. I have a small 5-club bag as I just use a 1-wood _ 3-7-9 irons, & a putter. All I need room for is a helmet. Get something else if you are planning to use it to go golfing. It still needs sufficient room to stow luggage for a modest road trip for two. Road tripability has been part of the Corvette formula for decades and if the C8 can’t do it then it won’t sell enough to remain profitable. The market for two seat sports cars with no practicality whatsoever isn’t enough to sustain more than a few thousand sales per year, which would result in termination for the Corvette. It must also have enough headroom for a driver to wear a cowboy hat. From the days of the big 30’s roadsters, golf bag storage was always considered. The Pierce Arrow, Packard, Cadillac, Nash, RollsRoyce, etc roadsters all had golf bag compartments accessed from the passenger side behind the door. IF THE C8 STILL HAS 15 CUBIC FEET OF LUGGAGE SPACE LIKE THE C7 COUPE, EVERYONE WILL BE IMPRESSED. I THINK THE BASE C8 WILL BE THE LOWEST PRICED V8 POWERED, MID-ENGINE SPORTS CAR SOLD IN NORTH AMERICA. 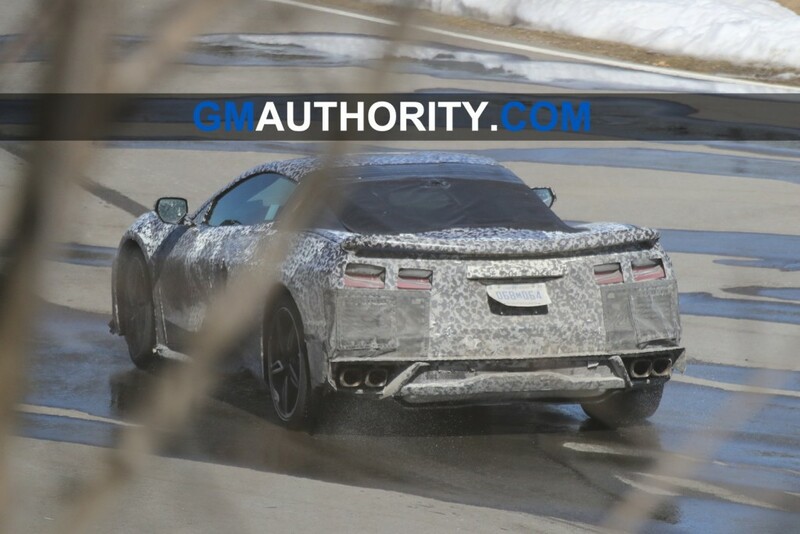 Will the C8 Corvette have a convertible version? I would hope so. 35 years ago, GM designed the Y-body right from the start to include a convertible model. The thinking was that it would be easier to make a hardtop/targa model if the car was structurally rigid without a roof as a convertible. I would think that this kind of thinking is not unique to GM, and is in fact used by every other automaker that offers convertible and fixed roof models of the same car. I would also think that the C8 would be built with the same design practices, as I think GM would be stupid if they didn’t offer a convertible C8. Yes, a convertible version was confirmed by the Nürburgring sitings. Google it. What about legroom and headroom for person over 6’4″…..GM shut out these guys at the c5 and c7….How much is it to ask for a little room?